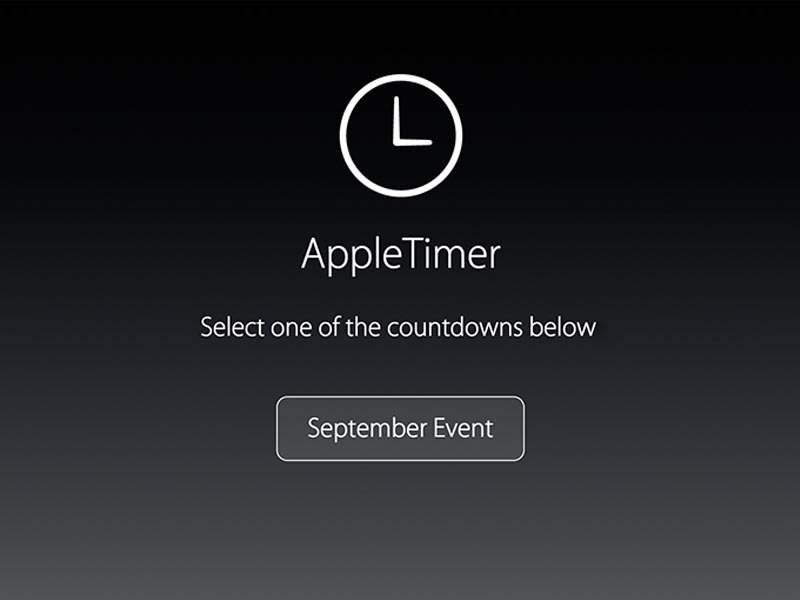 Over the past few years, my team and I have developed and maintained AppleTimer, a beautiful countdown to Apple's upcoming events that is customized to match the design paradigm of each event's invitation. Featured by several news sites, our little project has received over 6 million views during its lifetime, and AppleTimer is still going strong. Designed to encourage socialization and streamline communication, MeetUp is a Web application that allows users to quickly let their friends know when they're going to spend a couple hours at a coffee shop or where a group is going to meet up, all without the frustrations of a group text or overly complex social media site. MeetUp integrates with Google's Maps API in order to provide inline data on the establishment's location and instant access to turn-by-turn directions for smartphone users. Additionally, anyone logged into their MeetUp account can RSVP to existing events in order to let everyone know they plan to attend..
MeetUp accounts use the latest in encryption standards, including salted, 256-bit hashes for storing passwords, in an effort to keep users as safe as possible. 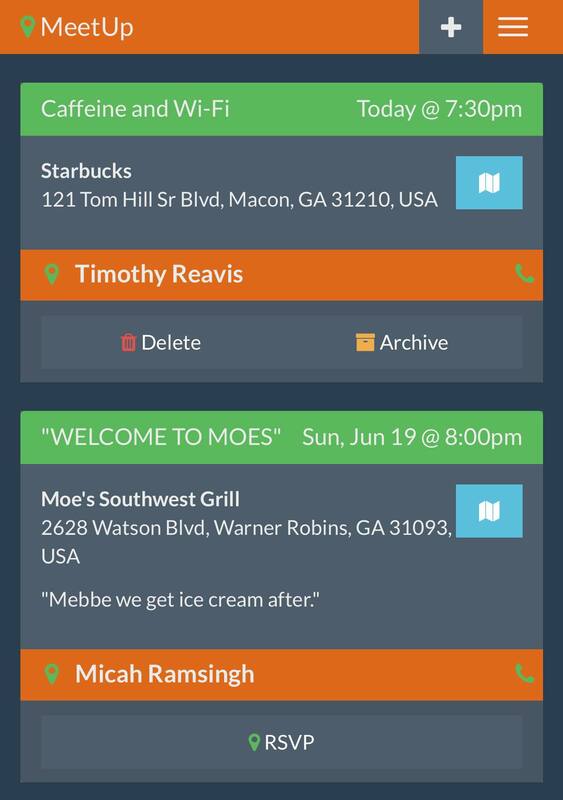 Incredibly useful for coordinating events with others in an area, MeetUp is mobile-first and user-friendly, providing an engaging environment for anyone looking to meet up with friends or family.